Experience the natural beauty and marine wildlife of Baja California Sur on this island-hopping adventure from La Paz to Loreto. Spend your days kayaking, snorkeling and swimming while keeping your eyes peeled for sea lions, dolphins, whales and more. Each night, set up camp on remote beaches and islands with the stars twinkling above. Paddle the remote coastline of the Sea of Coretz from LaPaz to Loreto. Shuttle between longer distances aboard a panga so you can spend more time paddling along interesting coastline, looking for wildlife, hiking, snorkeling and enjoying time around camp. Stop at local fishing villages and interact with locals. Snorkel with Sea Lions at Los Islotes rookery. Paddle along side curious dolphins and flying mantas. Enjoy more time with friends and Family as our guides take care of all the details, so you can relax and soak in the Baja sun. Spend an incredible 9 days kayaking, snorkeling, hiking and camping your way along the Baja California coastline. 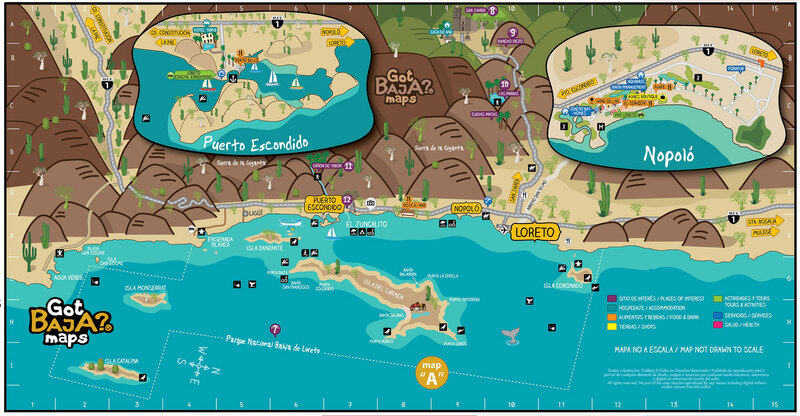 In this family friendly, island hopping adventure, you discover the ethereal world of Baja from La Paz to Loreto. Kayak along picturesque beaches, your paddle slipping into warm azure waters teeming with some of the world’s most abundant and diverse marine life. Hike through mountain ranges and sand dunes that cast a sunset-colored contrast to the glimmering blue Sea of Cortez. Stop at local fishing villages to taste fresh seafood prepared a la Baja and interact with the locals. Snorkel and swim alongside playful sea lions and wake up each day immersed in unparalleled landscapes both stunning and tranquil. Our Island Hopping tour takes you to out-of-the-way locales so that you can experience the full breadth of the world’s most biologically rich body of water. A panga shuttles you between beach camps so that you can spend less time “getting there” and more time “being there” as you explore the coastlines, get face-to-face time with the local wildlife and see where those desert trails take you. Note: The following itinerary depends on variables such as weather conditions, currents and wildlife sightings and will be adjusted as needed. We will always strive to see that your daily activities fulfill the spirit and objectives of this tour, though maintaining a flexible mindset is key to getting the most out of this tour. 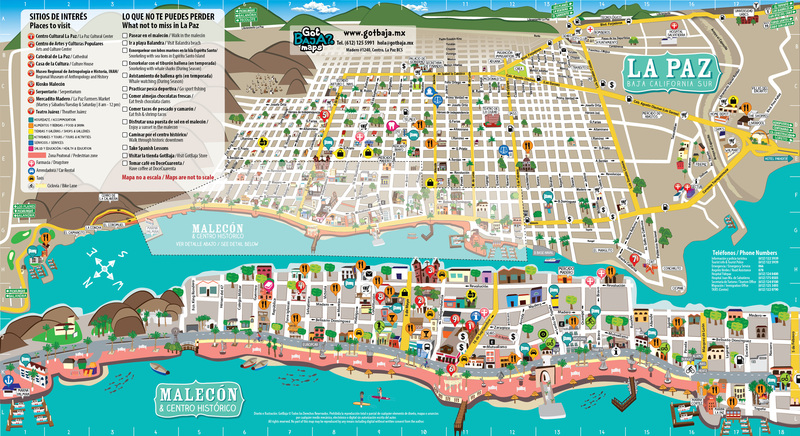 Fly into the city of La Paz or Cabo in Baja California Sur before making your way to hotel of your choice. We recommend the Seven Crown Centro hotel as this is where your orientation meeting and tour pick up with be for your trip. Settle into your room or explore the city, stroll the malecon and grab some dinner before an orientation meeting in the evening with your guides. After breakfast on your own you will meet your group and travel by boat to Espiritu Santo Island (1-2.5 hours), arriving in time for lunch on the beach. After a comprehensive kayaking orientation, set off for a paddling adventure along the island or some swimming. We also visit the sea lion rookery of Los Islotes and go snorkeling with these playful creatures either this afternoon or the following morning. Spend the next six days exploring the coast of Baja California Sur, motoring between islands in our passenger boat with the kayaks on top. Camp on Isla San Jose the second night before we head north, stopping at campsites along the mainland coastline. Each transfer between camps takes between one and three hours, with plenty of time to go kayaking, snorkeling, hiking and fishing once we arrive. The itinerary depends on weather conditions and wildlife sightings, with possible visits to exciting cultural and natural sites including the fishing village of El Pardito, the red sandstone beach of Puerto Gata, Isla San Jose and San Francisquito. We may also stop at the small fishing village of Tembabichi and Monserrate Island before exploring the National Marine Park of Loreto. After a final morning spent kayaking or snorkeling at our camp, travel by boat to your take out destination, where you meet a van that takes you to Loreto. Once there, check into a hotel of your choice (not included in tour price) and spend the afternoon at your leisure exploring the charming town of Loreto. This evening gather for an optional, no host farewell dinner with your group. Today it’s time to say goodbye to your group as you head to the airport for your flight home or continue your stay in Loreto and Baja California Sur. Single Supplement: If you are a solo traveler and wish to have your own hotel room in Loreto or La Paz (or if we are unable to pair you up with another solo traveler), an additional single supplement of $120 USD is required. Solo travelers will always have their own tent during kayaking tours, at no additional cost. Our tours are suitable for novices. This is one of our longer tours and can bet more-kayak focused or more leisurely depending on the groups interests. We recommend some prior kayaking experience or a regular fitness program to help with the endurance that will be needed for the extended time on the water. Call us with any questions! 1-800-616-1943. How do I get to La Paz and from Loreto? Not Included: Airfare, hotel nights before and after your tour, transportation to and from airport, National Parks & Biosphere Reserve access fees, gratuities, and items of a personal nature. Our renowned wilderness meals are prepared daily by our guides using local, fresh, healthy ingredients. In Baja you can expect an authentic dining experience, with savory dishes like chiles rellenos, tostadas, ceviche, and chicken mole. We even serve delicious desserts like brownies and pineapple upside-down cake! Each morning, we serve up freshly brewed coffee or tea. Throughout the day we provide an abundance of local fruits, vegetables, and other snacks. Wine and mixed drinks are served with hors d’oeuvres each evening for happy hour. We do our best to accommodate special dietary requests, working within the parameters of the destinations in which we operate. If you have a very strict diet, we recommend packing extra snacks that you know you can eat. To keep our group size small and our impact minimal, we typically limit our tours to 14 people or less. Our standard minimum to confirm a departure is 4 guests for our La Paz to Loreto Island Hopping kayak tour.